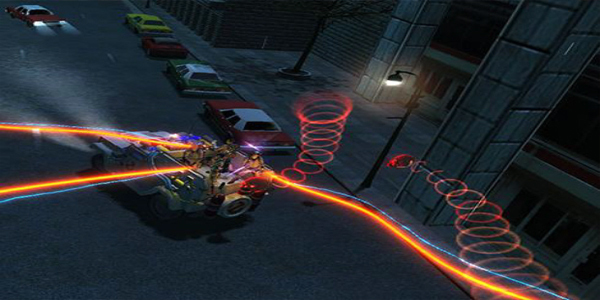 Ghostbusters: Sanctum of Slime was developed by Behaviour and published by Atari. It was released on March 23rd, 2011 for 800MS points. A review code was provided by the publisher. Editors Note: We have contacted both the publisher and the developer and we have been informed they are looking into some of the technical bugs we encountered. At this time, we feel there are too many problems with this game to recommend a purchase; however, should the game patch these issues we are willing to look back into it as we did with Hydrophobia: Pure. 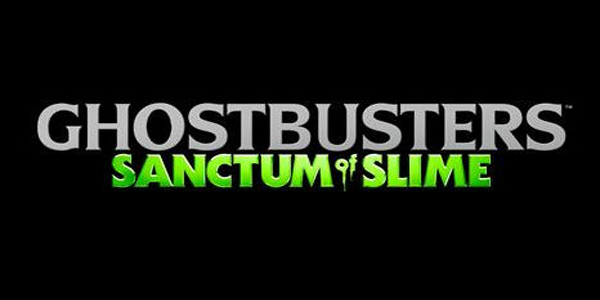 Ghostbusters: Sanctum of Slime is a top-down/dual-stick shooter that places you in charge of a new rookie Ghostbusting squad. The goal is to venture through 12 levels in order to take down Dumazu the Destroyer who is causing ghosts everywhere to be nuisances. Most gamers probably don’t even care about the story though because let’s face it; it’s a Ghostbusters game. You rid the town of ghosts one at a time until society can start to function again. It should be an easy sell, right? Sadly, this game is far from an easy sell and it doesn’t even come close to living up to the hype it created. 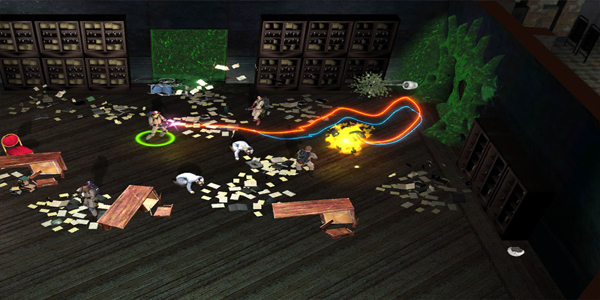 Color coordinated enemies – Most dual-stick games have various weapons for various jobs. Ghostbusters: Sanctum of Slime features a small variety of weapons, 3 to be exact, but they are all unique due to the fact that color of the weapon is a core game mechanic. Yellow, Red and Blue weapons are mapped to their coordinating controller buttons. Red enemies die quickly when using the red weapon and so on. It’s a fresh new way to add weapon variety to dual-stick games and it shows real potential for a new layer of depth for the genre. Overly generic – This game is so generic, there is literally a boss called “Huge Spider” and he is in the game twice. A cheap way to extend gameplay in any generic game is to include a level that cycles through all the boss battles and Sanctum of Slime does just that. Apparently when a ghost is trapped, they are simply released in an abandoned hotel and politely asked to stay indoors. Level 11 acts as a boss rush mode and it feels like a chore. Aside from bosses being re-used, textures are constantly re-used and there are only 10 or so enemy types. Redundancy should probably be considered the core game mechanic for Sanctum of Slime. Terrible design – The levels in Sanctum of Slime appear as if they were never play tested. Little scraps of wreckage act as invisible walls making rooms very hard to navigate. 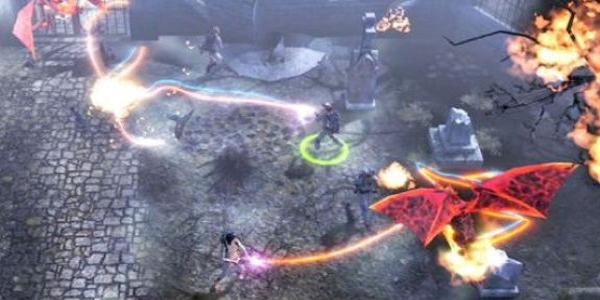 There are even destructible gravestones that still act as cover for enemies once they are destroyed. And then there is level 10. This is an easy candidate for the worst level in video game history. Constant waves of 20+ enemies in a small area that is nearly impossible to navigate due to unnecessary scenery and hazards. Most gamers will probably be quitting after an hour or two in this level with no progression in sight. Why even try? – This game is incredibly hard due to the fact that it is so poorly designed. But let’s take a trip to imagination land and imagine this is a good game for a few minutes. Even if Sanctum of Slime was a good game, it wouldn’t matter once you realize that there is no consequence for death. You will die over and over, and you will never have to restart a level, and your score won’t even reset. Again, redundancy shows up as the core game mechanic. And while we’re on the topic of the purpose of the game, why is there “Cash” in Sanctum of Slime? There are no upgrade or store features, instead cash really just adds to total scores. Calling enemy drops “Cash” only leads to disappointment when gamers learn that Cash is just a fancy word for points. Broken Multiplayer – This may or may not affect every user but there are some serious issues for the users that are affected. There is a revival bug that makes it impossible for one player to move their character after they have been revived. If that player quits out of the game for the rest of the crew to move on, the game still fails to load the next action sequence making the only option for every player to quit as well. This only happens occasionally, but it is still unacceptable. There is also a bug that makes the host see different enemies than the client players. You could be fighting a horde of blue enemies while your teammates are still taking on the yellow wave of enemies from 2 minutes ago. “Why is everything chasing me?” and “What are you even shooting at?” will become frequent questions as your session goes on. Incompetent AI – The AI in Sanctum of Slime has to be the worst AI in the past 10-15 years of gaming. AI characters constantly do nothing but sit still and wait to revive the first player that dies. When they do shoot at enemies, which is only around 10% of the time, they shoot the wrong colored weapons. They all stand in the exact same area making triple kills very easy for enemy bosses. They follow the human players everywhere and bump into you making the terribly designed levels even harder to navigate. And sometimes they randomly stand in corners and chose to do nothing. Why do I need these 3 jackasses following me around again? Sluggish controls – The controls in Sanctum of Slime are average at best. The speed and responsiveness of directional input is ridiculous for a dual-stick shooter. Your character will walk so slow that some enemies can hit you no matter what your skill level may be. The aiming is fairly frustrating too as the auto assist will make your proton stream lock on to the wrong enemy even if you aren’t really pointing that enemy. The WTF moments these issues create are unbelievable. Questionable story – You have to wonder why a Ghostbusters game was ever made where you weren’t playing as Ray, Egon, Peter or Winston. Why do we need to be the forgettable B-list again? And why do we have to read an epically long comic book in the cut scenes? This game needs voice acting. 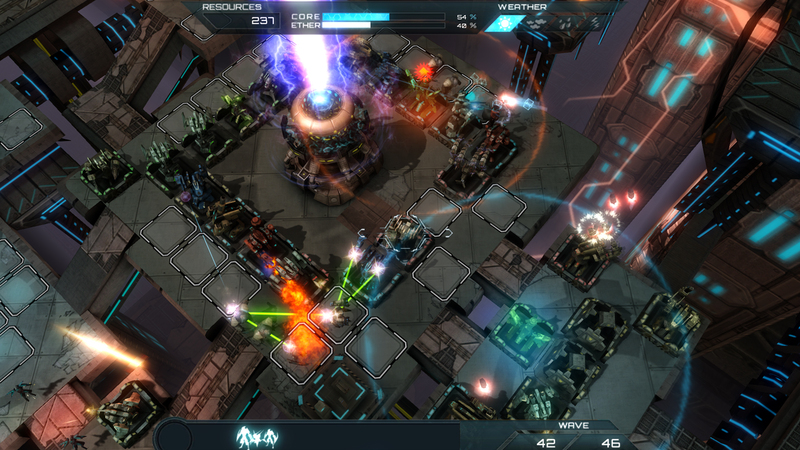 During gameplay, constant messages appear on the left side of the screen taking up valuable screen real estate. Nobody is reading these messages and voice acting would have fit perfectly into the game progression as a better option. If EA can bring Simon Pegg on board for Spare Parts, then Behaviour should surely be able to find some cash to pay for a voice actor in a Ghostbusters game. This is a game, not a book. Nobody wants to read 45 minutes worth of tiny text in a 3 hour game. Ghostbusters: Sanctum of Slime is a terrible game. It is easily one of the worst XBLA games available and you should avoid it at all costs. Not once during the game will you be able to honestly say that you are having fun. Buying 10 dollars worth of clothes for your avatar is a better investment. You have to wonder how anybody on the development team ever thought this game was good enough to sell. It’s obviously flawed in more ways than any game in recent history.